What can happen without proper septic system maintenance! 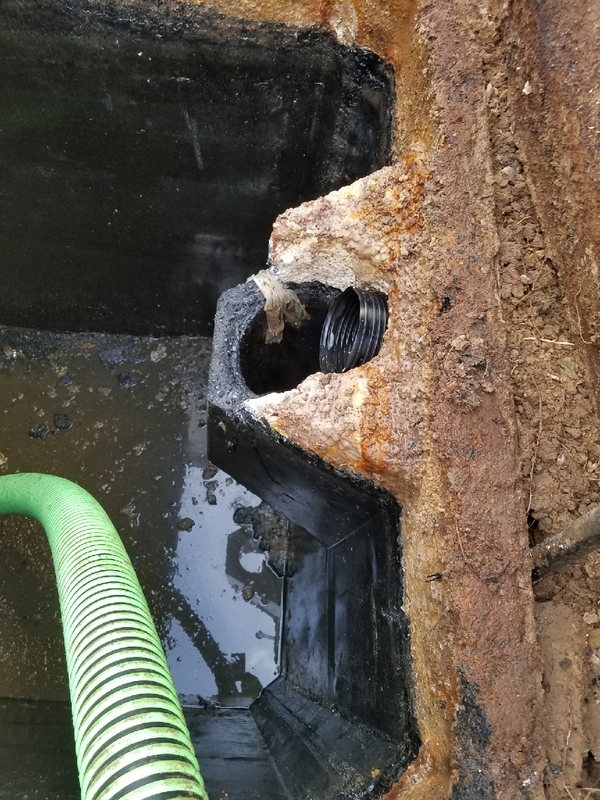 This is why we can’t stress enough how important it is to get your septic tank system pumped and inspected no less than every five years. This tank is from 1991, and lack of proper maintenance has led to a rotted baffle tee outlet which allowed solids to drain into field lines, etc. The only way to repair this disaster is replacing the entire septic system! With regular five year pumpings, this issue would have been identified and fixed long before it turned into the problem it did! Don’t “replace an entire engine because you never changed the oil” goes a long way in the septic tank world! Backroads Septic takes over our Dickson business! You may have noticed that Elitte Septic is no longer serving the Dickson area. Review us and get $100!! Greetings, Friends! We are so excited for Christmas! And, we could use a hand building our online reputation on google. So, we’ve decided to combine our efforts with your possible efforts as a Christmas shopping incentive! For every online review we get on google, we receive an email that it’s been complete. If you’ve ever used our services and were satisfied with our company, would you please take two minutes and submit a review on google for us? As a “thank you” we will put your name in a drawing to win a $100 giftcard to use toward Christmas shopping! This is only good until the 15th of December, and we will draw that day! Please click on this link to submit your review, and then comment on this post that you’ve completed it! Don’t forget, you will have more people visiting your homes over the holidays. 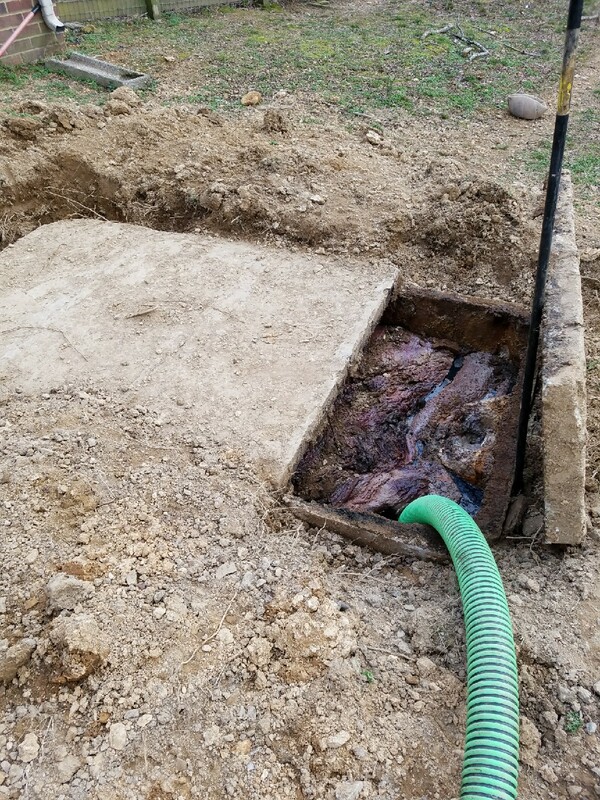 It is a great idea to get your septic tank serviced if it’s been over 3 years so that you’re not dealing with a messy disaster while your guests are visiting and having to pay for emergency hours service!!! Luxury Portable Restrooms available for all of Middle TN! Elitte is excited to let our customers know that we now have a fleet of luxury restrooms for any type of event and long-term project where you want the convenience, functionality, and luxury of the finest portable restrooms on the market! We have these available for the entire Middle TN area! Please visit www.executiverestroomsllc.com for more information and a gallery of photos! Contact us today for quotes and reservations at 615-504-7178! We’re hiring for our Dickson Location! Our Dickson, TN office is Hiring for a CDL driver/laborer with class A or B license. Potential applicants must have a clean driving record and typical hours are Monday thru Friday 7am-4pm. Job responsibilities include driving a small tanker truck to job sites & pumping/cleaning out grease traps, septic tanks and lift stations. Must also be able to hand dig up to 2ft by shovel and load and unload hoses. The ability to locate septic tanks is a plus but we will train. Pay is based on experience. Health, Dental, and IRA is available. Call 615-504-7178 if interested. Serious inquiries only. Save a pig…. The Doo Doo Gurus version of Mythbusters! MYTH. The philosophy is that the bacteria will help maintain the health of your septic tank. However, there is actually enough bacteria going into your tank on it’s own without any help if this was actually the best way to keep your tank healthy. Today’s household products have way too many anti-bacterial agents in them to be relied on to keep your septic tank from overflowing. You heard it here: there is no replacement for pumping out your septic tank when it comes to keeping your septic tank at optimum performance! This is recommended every 3-5 years. If you don’t do this, your system will fail prematurely. Call us today if you’re due for a septic tank service….. and save a pig. Did you know that Ashland City, TN is primarily where Robert Foster began his career in the septic industry? Robert began working for a different company as a teenager in Ashland City and then branched off on his own to form Elitte Septic Tank & Grease Trap Service. We have recently celebrated our 10 year anniversary as a company! If you are needing your tank pumped in Ashland City, Cedar Hill, Coopertown, or Springfield, TN along with anywhere else in Middle TN, please give the Doo Doo Guru a call!